Thanks to Abbie Johnson Taylor (https://abbiescorner.wordpress.com/) for nominating me for the Liebster Award. I’d never heard of it, so I investigated (for example http://wordingwell.com/the-liebster-award-the-official-rules-my-first-blog-award-and-a-few-personal-secrets-revealed/). I found this award to be an excellent example of writers helping other writers instead of behaving as though we are in competition with one another. We’re not, you know. No matter how well or ill I write, being unfriendly to other writers won’t improve my work. This award, according to my research, exists only on the internet, and is given to bloggers by other bloggers. The title has German origins; “liebster” may mean dearest, sweetest, kindest, nicest, beloved, lovely, kind, pleasant, valued, cute, endearing, or welcome and more. The award was created to recognize or discover new bloggers, welcome them to the blogosphere and increase their readership. It’s transmitted like a chain letter— but don’t let that put you off! In the digital and sometimes competitive and harsh world of the internet, the Liebster creates a haven of welcome and support for writers. Here’s how you do it: Each of you who receives this message has been nominated by the award by me. I am asking you all to answer up to ten questions (you need not answer them all) and nominate bloggers you know to receive the award and answer the questions you pose. 1. If you were to win a million dollars, what would you do? First, invest it wisely. Buy my assistant a new (at least to her) car of her choice. Establish a scholarship for the study of the ecosystem of the arid grasslands where I live with the aim of promoting its protection. Establish scholarships to the University of South Dakota and the State University of South Dakota to be awarded to students who want to write about ranching. Rent a very nice recreational vehicle and take a vacation with my partner and dogs to places I’ve always wanted to see in this country while considering what else I might do with so much money. 2. If you could be any animal, what would it be? A horse. I still miss my horses and the sensation of flying over the prairie on the back of one, which seems so much faster than a car. Beef, grilled, fried, sautéed— any way but raw. 4. What kind of music do you like? Bluegrass, with a lot of fiddle and banjo, and rock and roll of the cheerfully raucous Bruce Springsteen variety. 5. What do you like to blog about most? What I observe on this prairie around me, and what I read in books. 6. What is your greatest ambition in life? I’ve achieved it. I’ve written a few books I still like; I live on a ranch where I’m helping care for the land. I have some good friends and loved ones and a couple of cheerful dogs. I am still able to write and enjoy writing and teaching. I’d like to be a kinder and more generous person. 7. What is your favorite pastime? Writing. Or reading. Or doing both at the time I choose on a rainy day while cooking and eating good food. 8. Have you ever wanted to fly like a bird? Nope. Flying like a horse is close enough for me. I don’t even like airplanes. 9. If you could meet a character from a novel or television show, who would that be? This week, it would be Mara, the Brehon of the Burren, because I am reading Cora Harrington’s wonderful mystery series about the west of Ireland. Last week it would have been Mary Russell, from Laurie King’s terrific series about the wife of Sherlock Holmes. The week before that, it might have been Inspector Gamache in the village of Three Pines in Louise Penny’s mysteries. 10. What kinds of books do you like to read? Mysteries, generally of the cozy variety— not too much mayhem. I often find questions intrusive, but I enjoyed the thinking those questions required. And thanks to Abbie Johnson Taylor’s generous gesture, I now have read some of her blog and learned more about this courageous woman. 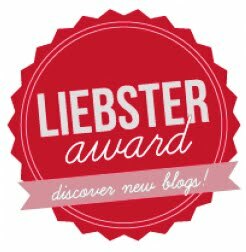 I’m delighted to call attention to several bloggers of my acquaintance by presenting them with the Liebster award. I encourage each of you to read each others’ blogs, and to pass on this award by nominating and asking questions (the number is up to you) of other bloggers. Oh– and answer my questions. https://rubyrwilson.wordpress.com/ Ruby has worked at Windbreak House Retreats on several occasions, and I am always warmed by her blog, even when she’s not writing about soup or gardening. http://betweenurbanandwild.com/ Andrea, too, has worked at Windbreak House, and her book, Between Urban and Wild, is only her first. http://the-back-forty.blogspot.com/ Darcy has published the excellent memoir Circling Back Home: A Plainswoman’s Journey. http://prairiespirits.blogspot.com/ Jane blogs about knitting and quilting, as well as her historical research and writing interests. I especially enjoyed her recent blog about the Willa Cather Memorial Prairie. http://lisagsharp.com/ I worked with Lisa Sharp on her memoir both online and at Windbreak House Retreats and admire the story she has told, and the new stories she is telling online. https://cottonwoodcollective.wordpress.com/ This is new to me: a collective blog by and about women writers from the west, the plains and the prairies, discovered because it featured Deb Nolting, a teacher (just retired!) and writer I admire, and Lyn Messersmith, another of my Windbreak House writers. 1. What event made you start writing? 2. What do you enjoy reading? 3. What do you read for inspiration or encouragement? 4. Why do you write? 5. How much time do you spend writing each day? 6. How might you realistically rearrange your schedule to have more writing time? 7. What do you do for relaxation and enjoyment? 8. What incident have you never written about? 9. What is the best thing you have written and why? 10. What question do you wish I had asked? Happy writing, happy reading, and happy blogging. Eastern yellow-bellied racer at Windbreak House. We saw the first snake of the season a week or two ago, the Eastern yellow-bellied racer, commonly known around here as a “blue racer.” In other areas, depending on color variations, it’s called the black, brown, or green racer; its under-belly is white, tan, or yellow and it may be twenty to sixty inches long, or from a foot-and-a-half to five feet. This speedy little snake (also called a “runner” in some areas) sleeps at night and hunts during daylight—which is why it’s so often seen—and it lives practically everywhere in the Great Plains. In South Dakota, it’s found only west of the Missouri River. If you see one, feel free to leap out of its way, but don’t hurt it. These are non-venomous snakes which eat small rodents (voles! ), frogs, toads, lizards, crickets and moths, and other snakes. They occasionally eat small birds such as finches or sparrows, especially those that nest on the ground. But the racer can climb trees well and occasionally raid bird nests for eggs or baby birds. This last fact may explain to me, sixty years later, why one day when I was walking in the cedar windbreak, I felt a tickle on my neck. I looked down inside my open-necked shirt to see a small blue snake lying against my belly, its head raised, tongue flicking. Without much thought, I yanked my shirt untucked, and the snake slipped to the ground and zipped away. When I described it to my father, he called it a blue racer. I’ve never forgotten the not-unpleasant sensation of that small body against my stomach. Despite the scientific name of the snake, Coluber constrictor, these snakes do not really employ constriction. They generally subdue their prey by pinning it down with a coil or two of their body length. Smaller prey is swallowed alive. Blue racers are curious and have excellent vision, so you may sometimes see one raising its head above the grass as it crawls to see what’s in the neighborhood. The snakes’ predators are large mammals and bigger birds such as hawks. Racers use their speed to escape being eaten, but if caught, they bite hard and often as they try to escape, writhing, defecating and releasing foul odors. I was lucky I didn’t try to capture the one that slid down my shirt. Racers have also been known to rattle their tails among dry leaves to sound like rattlesnakes, a habit which could get them killed. A friend who didn’t know this fact stepped out her door the very day she read the first draft of this article and saw a blue racer; then she heard rattling, and realized the snake was temporarily blocked from escape by some wire and was vibrating its tail in dried grass to warn her off. Read it, see it. Racers are common in residential neighborhoods in warmer states, and may live near water, but also in brush, trash piles, roadsides and swamps. Most types of racers seem to prefer open, grassland habitat where they can use their good eyesight and speed, and they stay near cover where they can hide. The eastern yellow-bellied racer mates between April and June. A month later the female lays 3 to 30 eggs in a hidden nest in a log, or under a rock, or in an abandoned rodent burrow. Surprisingly, they’ve also been known to lay eggs in a communal site where snakes from other species have also laid eggs. The eggs hatch in early fall. Until they reach maturity, in about two years, the young snakes have dark blotches along the back with spotted sides and bellies, decorations that make them resemble rattlesnakes at first glance. Remember: snakes generally do us more good than harm; this little guy may be eating those voles that are eating the roots of your plants. Don’t poison the voles; find a blue racer. And if you think of killing a snake, look for rattles on the tail. South Dakota is home to only one venomous snake: the prairie rattlesnake. If you see no rattles, chances are that the snake is harmless. Leave it to its business of keeping rodents under control.